Last year, ‘Facebook at Work’, which is now known as Workplace, was introduced in select countries with the aim of becoming a viable office collaboration tool to rival Google Drive and Microsoft Office. Over 1,000 organizations around the world currently use the platform, with the U.S., UK, France, Norway and India among the top five countries using Workplace. Starting today, Workplace will be available in Canada, as well as to any company or organisation around the world. “We’ve brought the best of Facebook to the workplace — whether it’s basic infrastructure such as News Feed, or the ability to create and share in Groups or via chat, or useful features such as Live, Reactions, Search and Trending posts. 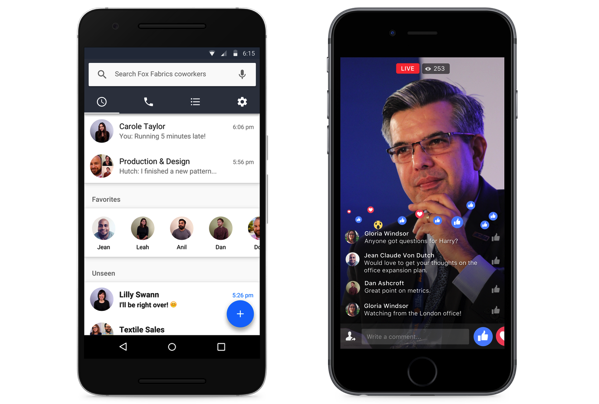 This means you can chat with a colleague across the world in real time, host a virtual brainstorm in a Group, or follow along with your CEO’s presentation on Facebook Live”. 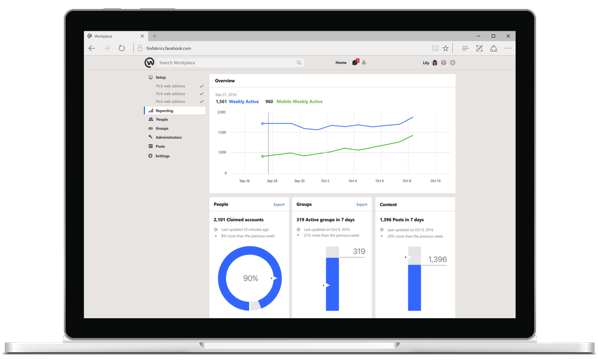 Workplace also features some unique features that companies can benefit from, such as a dashboard with analytics and integrations with single sign-on, in addition to identity providers that allow companies to more easily integrate Workplace with their existing IT systems. The new Multi-Company Groups feature allows employees from different organizations to work together, and extend collaboration beyond your company in a safe and secure way. Facebook is also announcing its new Workplace Partner Program, a group of technology and professional service organizations, to help expand Workplace to even more businesses around the world. Click here to learn more.